The sales numbers for the entire 2015 calendar year are in and last year was officially the best sales year for the modern Dodge Challenger and the second best sales year in the history of the Challenger nameplate – trailing only the 1970 Challenger. The Ford Mustang and Chevrolet Camaro both moved more units than the Dodge Challenger in 2015, just like they have every other year since the Challenger was reintroduced for the 2008 model year. However, the Chrysler Group management team doesn’t care about that, as 2015 was a banner year for the Dodge Challenger, with 66,365 new Mopar muscle cars sold last year. That figure makes the 2015 Dodge Challenger the second bestselling Challenger of all time, with only the original 1970 Dodge Challenger selling more than 66,000 cars in a single calendar year. When the 2015 Dodge Challenger was introduced for at the 2014 New York International Auto Show, a great many people questioned whether the 2015 refresh was going to be enough to improve sales. Sales figures of the modern Challenger have improved each and every year since being launched for the 2008 model year, but when the 2014 Challenger was introduced – the total package was in its 7th model year. 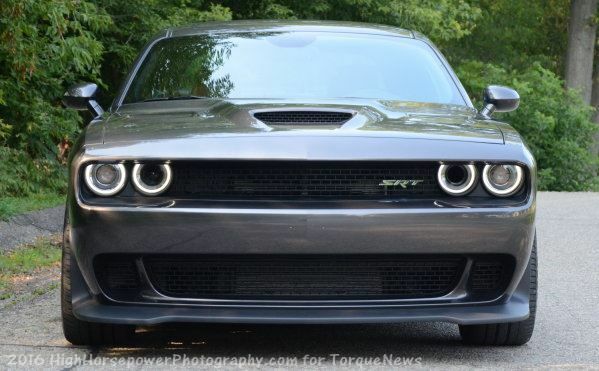 It was time for a refresh and while some hoped for a new Challenger that was smaller, lighter and more like the Mustang and Camaro, Dodge went with a light refresh and the introduction of some new trimlines…including the 707 horsepower SRT Hellcat package. The Challenger’s critics insisted that the 2015 model just wasn’t different enough and that a 707 horsepower, $60k package wouldn’t be enough to help the Challenger sales improve. Those people were wrong, as the 2015 refresh led to the second best sales year ever for the Challenger and the best year by a landslide when compared to the modern era of the brawny muscle car. In 2015, Dodge sold 66,365 Challengers for an average of 5,530 units per month. That number is significant, as prior to 2015, Dodge had only sold more than 5,500 units in a month twice over the past 5 years, but they averaged better than that in 2015 with a record monthly sales figure of 7,438 units sold in May. The worse month of 2015 for the Challenger was November, when just 4,263 units were sold, but that yearly low would have been among the best months in the prior calendar years. In other words, 2015 was a great year for the Dodge Challenger, posting a modern record and helping the Chrysler Group continue their 69-month long streak of year over year sales growth. No other automaker in the history of the American auto industry has posted continued growth like that and with the industry expected to grow as a whole in 2016 – the trend could continue into the New Year. Here is a list of Dodge Challenger sales by year for all of the muscle cars that wore the name. I am not including the compact Dodge Challenger built by Mitsubishi in the late 1970s, since that car really had no relation to the 1970-1974 or the 2008-2016 models.